Photo L to R: Susan Powers, Sharon Presgrove, Wynona Evans and Shirley Watkins. Larry Presgrove is a licensed agent and is the agency owner. Sharon Presgrove is a licensed and bonded in-house travel agent, with an ACC. Susan Powers is an in-house Travel Consultant. Shirley Watkins is a licensed part time in-house Travel Agent. Wynona Evans is a licensed part time in-house Travel Consultant. 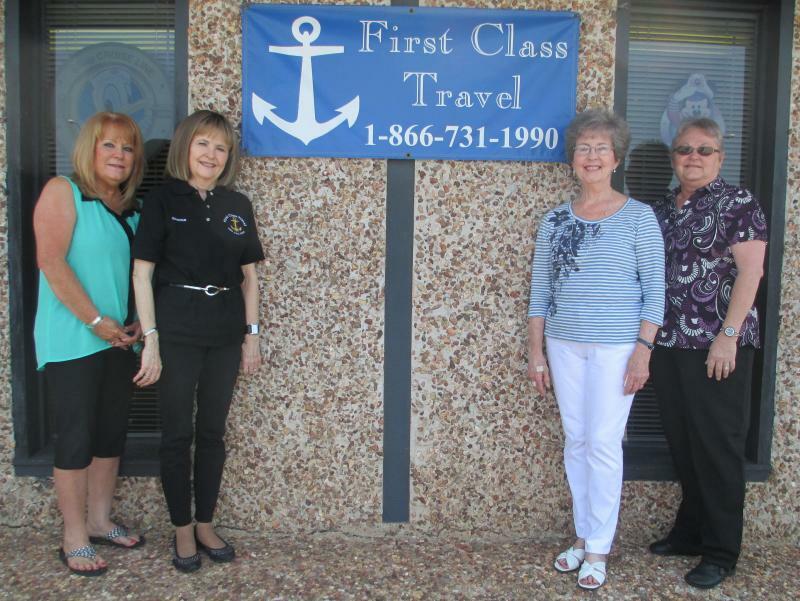 First Class Travel has been in business since 1999. Sharon & Larry will be taking their 31st cruise in May, 2014. We are cruise specialists and would love to introduce you to the world of cruising.